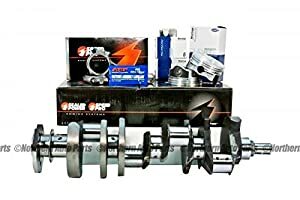 Best 383 Stroker Kit Reviews: Only 5 Out of 85 for April 2019! The 383 is perhaps the most popular displacement kit on the market today. It’s a muscle car dream, and today there are many good kits available at affordable prices. The 383 was not a Chevy production line model; it was the development of a private car block engine builder that was looking for a more powerful solution to the standard 350 boxes. This individual realized that he could machine a 400ci small-block crank to fit in a 350 block. This would give him added ci and reached the famous 383 ci. You might think it would be easier to buy a 400ci block and use that instead of a 383. However the 400ci block is now very rare to find, and the 350ci block base is actually much more efficient in heat dissipation. So today you will find many 383 variations. This guide was created to make sense of these 383 blocks, and give you a list of the best 383 Stroker build kits that can be found online. The Eagle Chevy Street Performance Rotating Assemblies are always a great value for money, and this kit is no exception to that rule. It comes with all the necessary parts to rebuild a 383 stroker kit for engines that are under 500HP. 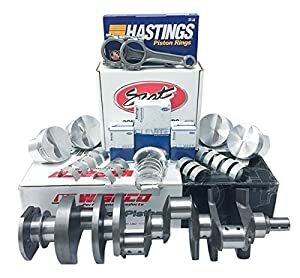 This kit comes with an original Eagle cast steel crankshaft, Eagle SIR I-Beam rods, Speed Pro hypereutectic pistons, Hastings rings, and King bearings. 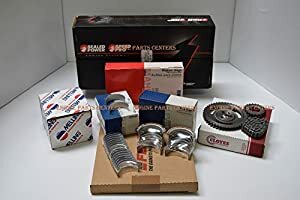 This kit includes the Mahle/Clevite Tri-Metal P series bearings are the industry standard since these patents came out. The Clevite 77 is considered the best bearing on the market with thousands of racing miles behind them. 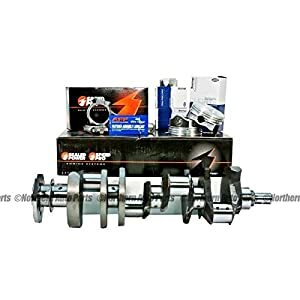 This Northern Auto 383 rotating kit is one of their newest Stroker Kits, and its price gives you great value for money. This is the 6” rod version. 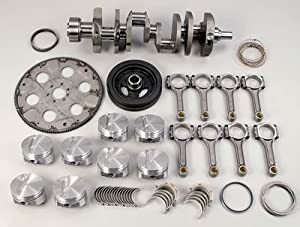 This 383 Stroker kit comes with a 2pc rear main seal and has a 5.7” connection rod. The comprehensive parts kit delivers great value for money. This is a Northern Auto Parts kit with full components for a 1 piece rear seal crankshaft. What is great about this kit is that NAP allows you to request bore size as std, .020, .030, .040 or .060, specify Flattop Compression Ratio for 64.0cc: 10.40 to 1, and specify Dished Pistons Compression Ratio for 64.0cc: 9.67 to 1. What exactly is a “Stroker engine” or a “stroker kit? A Stroker engine is an engine that increased its original factory stroke size. A stroker kit is a package containing all the components to build a stroker engine. The benefits of a stroker engine come from the combined changes made to the way the engine burns fuel. Burning fuel is not just about how much fuel you inject into the engine, it’s also about how much air you compress together with the fuel. This why increasing the stroke will increase the breathing capacity of the engine; you still need to match a camshaft, head flow, and many other elements. So, when buying a 383 model, you have to make sure it is matched with all the right assemblies to pull out of it maximum effectivity. The two-piece seal is an older version; these were used between 1955 to 1985 in all small block Chevys. In 1986, GM changed the design and fabricated a one-piece rear main seal. Take note that the older 2-piece rear seal model can be converted to a one-piece model, the one-piece model cannot be adapted or changed into a two-piece model. The one-piece crank uses a smaller flywheel bolt pattern when compared to the two-piece design; this means that flywheels and flexplates do not interchange between these models. Northern Auto Parts has been around for 25 years and has a large online presence too. This Iowa based company is located in Sioux City and has a 60,000 square foot fabrication, upgrading and showroom site. Eagle Specialty Products is an auto parts fabricator and distributor located in Southaven, Mississippi. This company produces high-strength connecting rods and crankshafts for racing engines. 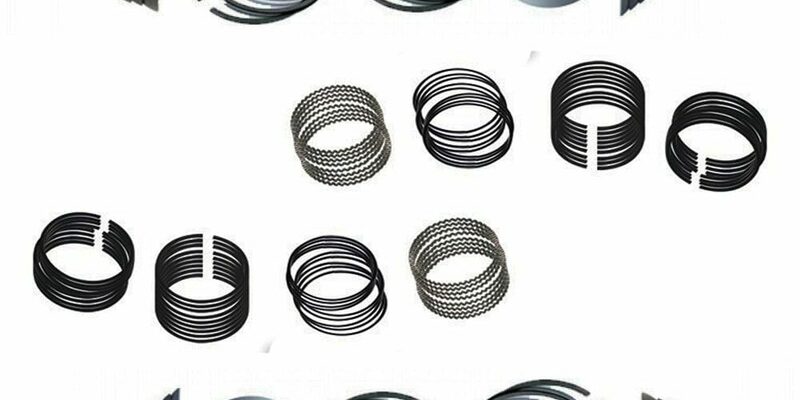 They also offer a full line of kits including crank, rods, pistons, rings, and bearings for popular engine combinations.